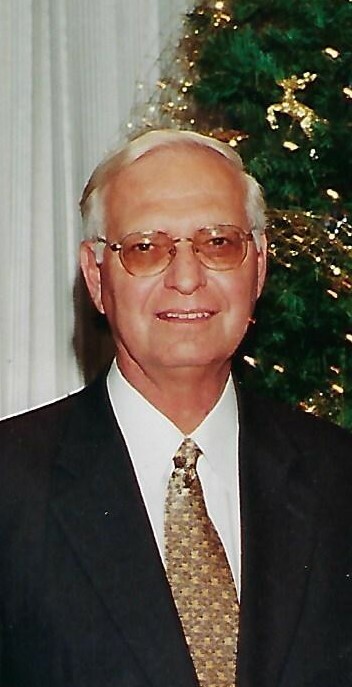 Richard Lee Scholz, Sr., age 80 of Troy, passed away Sunday, April 14, 2019 at Sycamore Medical Center, Miamisburg. He was born September 10, 1938 in Troy to the late Richard and Virginia (Stein) Scholz. Richard is survived by his wife Linda (Beaty) Scholz, whom he married April 28, 1959; son Richard Scholz, Jr. (Brenda) of Troy; daughter Dana Layne of Troy; grandchildren Lauren Taylor, Charles Hollen, and Lucas Hollen; great-granddaughters Caylee Ann and Adalynn “Ady” McKenzie; brother Thomas Scholz (Sheri) of San Marcus, TX; sister Gina of Fairborn; brothers-in-law Don Beaty (Carolyn) of Troy and Gary Beaty (Cathy) of Sebring, FL; and his Jack Russell, Sammy. He was preceded in death by daughter Beth Ann Scholz; brother Doug Scholz; and sister Maryann Neff. Richard was a 1956 graduate of Troy High School and studied business at Wilmington College. He was a member of St. Patrick Catholic Church in Troy and a member of the Miami Shores Golf Club. Richard loved his family and especially loved spending time with his grandchildren and great-grandchildren. He was an avid golfer and also enjoyed collecting model trains. He retired as Manager from Arrow Electronics in Dayton in 2004 after many years of service. A Mass of Christian Burial will be held 11:30AM Monday, April 22, 2019 at St. Patrick Catholic Church, Troy with Fr. Eric Bowman officiating. Visitation will be from 9:30AM-11:00AM at Fisher-Cheney Funeral Home, Troy prior to the service. Interment will follow in Riverside Cemetery, Troy. There's still time to send flowers to the Mass of Christian Burial at the St. Patrick Catholic Church at 11:30 AM on April 22, 2019.